My daughter Sydnee is a 6th grade teacher. Her exposure to germs and illness knows no bounds. Whatever she catches usually infects our entire close-knit family of nine! Luckily, one of her teacher friends noticed her susceptibility to every bug going around. My daughter noticed how this particular teacher was never sick despite the latest bug of the week. Our goal is to Be Healthy 365 days in 2018! Sydnee contracted a respiratory infection in early fall 2017. Her two children got it. My Mom and dad got it. My son-in-law got it. I got it! My husband and youngest daughter were spared. The rest of us all went to the doctor for antibiotic shots and some got steroid shots. Milisende, my one-year-old granddaughter required three high-powered antibiotic shots for three consecutive days to lower her white blood count from this horrific germ. We were still not well after three to four weeks. Enter "On Guard". This protective oil blend is the surprising secret of the healthy teacher. 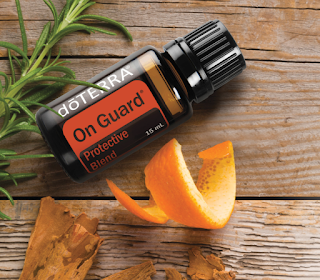 On Guard is manufactured by doTERRA. On Guard gives the immune system a boost to help "guard" against airborne bacteria and viruses. 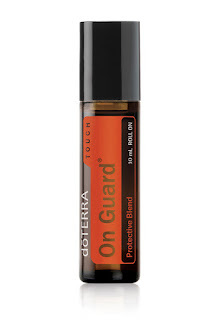 Sydnee began using On Guard immediately on herself and her children. Her four-year-old and toddler love the roll-on applicator. They even apply the oil to themselves. Sydnee and her daughters still had a ragged cough after three weeks, even with prescribed medicines. On Guard completely resolved the persistent coughs and runny noses. 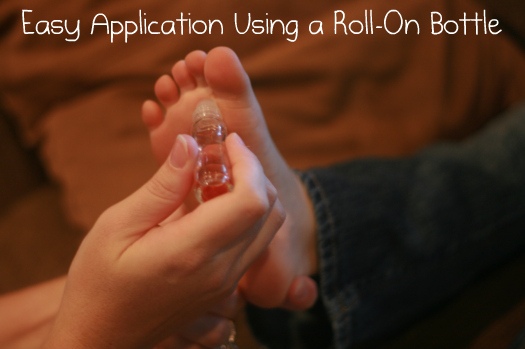 Recommended application, two to three times per day, roll on just behind the toes on both feet. You can also use under the nose, rolled onto the glands in the neck (especially good for sore throat) and on the wrists. Buy On Guard to protect you and your family. Click this link to buy now. Disclaimer: This is not medical advice or remedy. The information in this blog is personal experience. If you have a medical condition, please consult your doctor. Additionally, I may receive a small compensation when you buy from this website. Please leave me a comment to share your amazing results using this product.